For the first time, Elite Model Look UK have partnered with Capital Shopping Centres as their Official Location Partner, LOOK Magazine and LOOK Beauty to tour key cities in the UK and the Elite London team will be hitting the Lakeside Shopping Centre, Thurrock on Saturday 16th June. If you fancy yourself as a model, this competition isn’t to be sniffed at; The prestigious model search launched the careers of super-modelling royalty like Cindy Crawford, Stephanie Seymour, Gisele Bundchen, and model of the moment Nyasha Mathondoze. The competition will take place in the Central Atrium from 10am-5pm so be there with your best model face on! You can meet the Elite Model London team, get a makeover courtesy of Look Magazine and Look Beauty, then strike a pose for the cameras. Up to ten chosen applicants will get the chance to take part in a mini-catwalk show alongside actual Elite models at 5pm. Elite Model Look UK scouts will pick 24 UK finalists, 12 girls and 12 boys who will be whisked off for an intensive week-long model boot camp. Local guys and girls will go from shopping in the Lakeside Shopping Centre straight into catwalk training, hair and make-up tutorials, health and fitness advice and confidence coaching. A national finale will take place in July, attended by top UK fashion industry experts and celebrity guests where judges will pick one female and one male winner on the night. The female winner will take part in the Elite Model Look World Final. The male winner will be sent on an all-expenses paid trip to Milan to walk in Men’s Fashion Week with some of the world’s most renowned designers. Additionally, one lucky female finalist will be chosen to be the face of LOOK Beauty, Look magazine’s new make-up range. The winner’s campaign will feature in Superdrug stores nationwide plus advertising. The girl will also receive an Elite Model contract and editorial spread in Look. If you can’t make it to the Essex casting you can still take part. Go to http://www.elitemodellook.co.uk for more details. 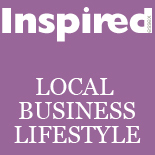 This entry was posted on June 7, 2012 by inspiredessex in Chatty, Essex Events, Ladies Fashion, Ladies Time Out and tagged Chelmsford, Chelmsford Magazine, Elite models in Essex, Essex, Lakeside.